“This isn’t what you promised us, Shepard!” shouted Wrex, leader of Clan Urdnot and representative of Earth’s krogan population. Shepard watched the thousand krogan gathered at the Crush, the meeting grounds. Just as Wrex had promised, they had come unarmed. Shepard was unarmed as well. Not that Shepard could hold a weapon even if he wanted to. Wrex and the other krogan were clearly angry. The Alliance marine holding the handles of Shepard’s wheelchair was so nervous that Shepard could feel him shaking through the metal structure. I don’t blame him, he thought. Shepard often wondered if he’d made the right decision in destroying the reapers. The explosion he’d set off had been so powerful that it blew the Citadel to pieces. Fortunately Shepard had fallen into a particularly soft piece of concrete and twisted rebar, but his body had never been the same since. Five years later, the war hero lived in a mansion and was attended by servants who were proud to feed him and help him use the bathroom. 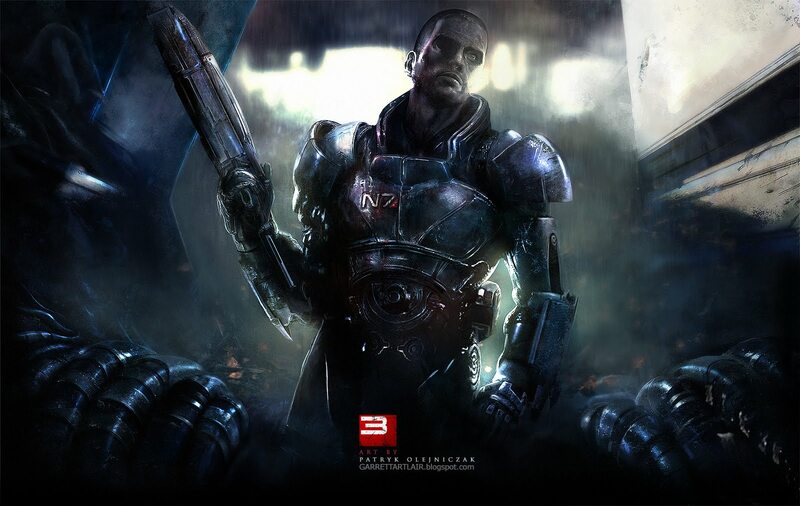 John Shepard by kingfret on deviantart. Wrex’s words stabbed into Shepard’s broken body. It was true: There was no peace. Now that the species of the galaxy were cut off due to the destruction of the mass relays, Earth had become a prison for a dozen different races permanently exiled from their rightful homes. Many quarians had regained Rannoch only to lose it once again. Now they would never be able to remove their suits. Their dreams had become a mockery to them. The rachni could communicate with their queen across space, but they could not communicate with any of the other Earthbound races. They were allowed to build wherever they wanted and, not wanting to rock the boat, the Alliance simply stood back and crossed their fingers and hoped that the rachni would die off before they caused any trouble. The vorcha were breeding out of control and clogging up city streets. None of them could hold a job or pay rent. Not unless they competed with the krogan in shady, violent black markets. There was even trouble with the turians due to one seemingly minor cultural difference between them and humans. The turians held a libertarian stance on drug use: They believed that if an individual was capable of completing the duties proper to his rank, then he should be allowed to use whatever drug he chose during his off-duty hours. It was proving nearly impossible for the Alliance to pressure conservative politicians to relax their stance on humanity’s ancient and outdated war on drugs. Not only were a lot of turians being arrested for using illicit substances, but the Alliance had to spend a lot of “favors” in order to get several high-ranking turians out of trouble with the law. The hypocrisy was not lost on humans who saw this happen. The only solution that human politicians had given any serious thought to was to possibly allow turians to use drugs, but not humans or any other race; this “one law for us, another law for them” policy only gave parties like Terra Firma more power among radicals and malcontents. On the other hand, every human was suspicious of the asari and the salarians, who were slowly but steadily taking powerful, high-paying jobs that would have normally gone to humans. Was there any news network or government advisory position that wasn’t being held by a wise asari or a clever salarian? Rumors were going around that a few salarians were offering to help the Alliance with their vorcha problem by creating another genophage. How long would it be before humans found their own birthrates suddenly cut off once the planet became overcrowded? After the war, scars belong to both paragon and renegade. “The krogan who have shown they can blend in with society already have that right,” said Shepard. Shepard said nothing. He knew that he was walking on a razor’s edge, but he could not help but daydream about his old friends. Liara, Garrus, Tali, Joker… they were now trapped on a jungle world in a system hundreds or thousands of light-years away. They could speak via quantum entanglement communicators on board the Normandy, but they could never return home. He could tell that they resented Joker for running when he saw the explosions – but how could Joker have known that the mass relays would be destroyed? Still, the worst part was seeing his former teammates trying to hide their looks when they saw his wheelchair and his twisted, feeble body. They should feel lucky that they lived on an uninhabited planet where food could be plucked off trees. At least they didn’t have to deal with this. Shepard almost envied Javik, who had ended his life by his own hand just as he’d promised. Seeing Shepard sit in silence, Wrex began to suspect treachery. Shepard should be cutting him a deal, using that reputation of his to push and pull, give and take, just like in the old days. It was true that Shepard had brought no weapons to the Crush, but Wrex’s father Jarrod had also seemed to be unarmed when they’d had their own Crush on Tuchanka so long ago. Shepard pushed a button on his communicator. “That’s the signal,” said an Alliance comm-man. In the war room of his ship in orbit over Earth, he crossed his hands behind his back and was lost in thought for a moment. Shepard had done his best to gather as many krogan as he could in one location. He’d done his part and completed his final mission. Now, it was Hackett’s turn. “Fire the laser batteries,” said Hackett. On the viewscreen, he could see the beams unleashed by numerous Alliance ships. The land around the Crush would be decimated for miles around. The krogan problem had been solved. Art by Nikoskate on deviantart. Hey readers. 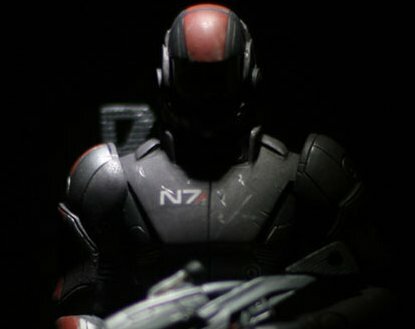 If you liked this post, you should take a look at my outline for a game that I call Mass Effect 4: Indoctrination Theory. If you want to see some more Mass Effect fan fiction, then check out this piece based on the Control ending, which is called Big Goddamn Hero, or a piece based on the Synthesis ending, which is called The Ghost. You might also want to take a look at some of my books. I’ve got an epic series called Demonworld, which is equal parts Mad Max and Lord of the Rings (think “science fantasy”), and a much-loved gamebook series called Heavy Metal Thunder which is currently a hyperlinked Kindle book but will be a fancy phone app any day now.